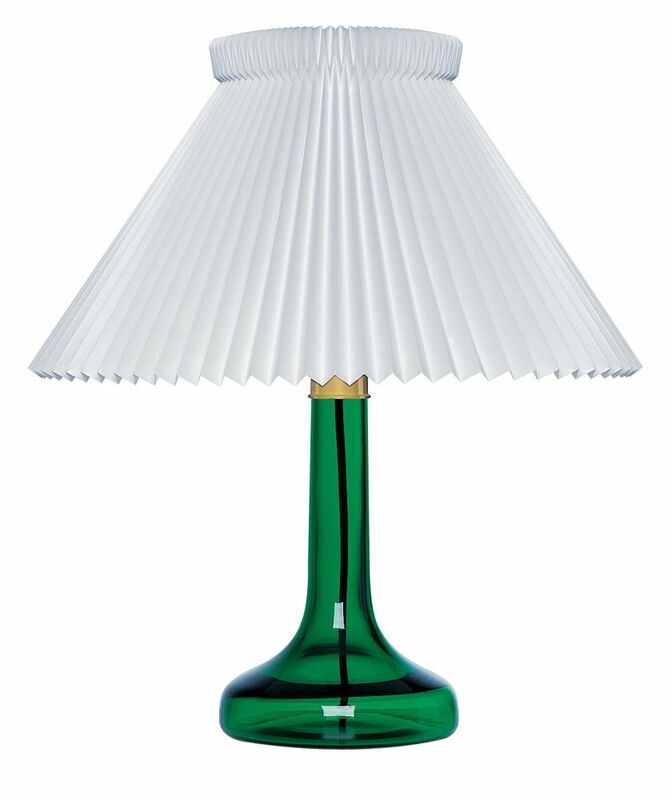 A classic glass lamp, designed in 1948 by Biilmann Petersen. This lamp was specifically designed for use with the classical lampshades produced by the Klint family at the companys foundation in 1943. In 1952 Erik Hansen designed the first Sax (scissor) lamp for LE KLINT. For many people, the classic lines and texture of the paper shade together with natural wood are synonymous with LE KLINT. Over the years the Sax lamp has been produced as an uplighter and a down lighter in different types of wood. Today this lamp is available in beech, light oak, American walnut. A black and a white varnished finish model, has been added to the collection.